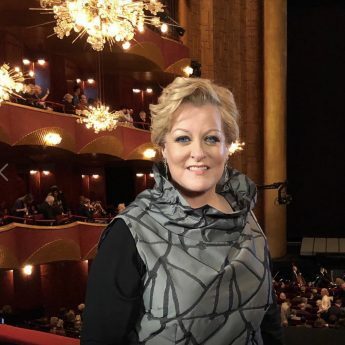 Deborah Voigt brings you a Recital of Love, Thursday, May 2 at San Francisco’s Herbst Theater. “Love Sores” is a recital for voice and piano exploring themes of love: love longed for, love gained, love furtive and perhaps surreptitious, love lost, and the effects both sweet and painful of indulging in love’s pleasures. With songs by Cole Porter, Grieg, Mahler, Zemlinsky, and Lerner & Lowe, this recital program explores many of the aspects of romantic love, from Klimt’s yearning swain to his swooning object of desire, with some intermediary stages of this particular form of addictive intoxication.